This month, I want to draw your attention to Chelsea. She covers a little of everything, but mostly beauty. She also has a YouTube channel. She posts adorable animal photos and shares my addiction for coffee, so she is okay in my book. I mean those aren't the only things amazing about her, but they don't hurt to be mentioned. On top of that, she has a positive outlook on things and is incredibly sweet. 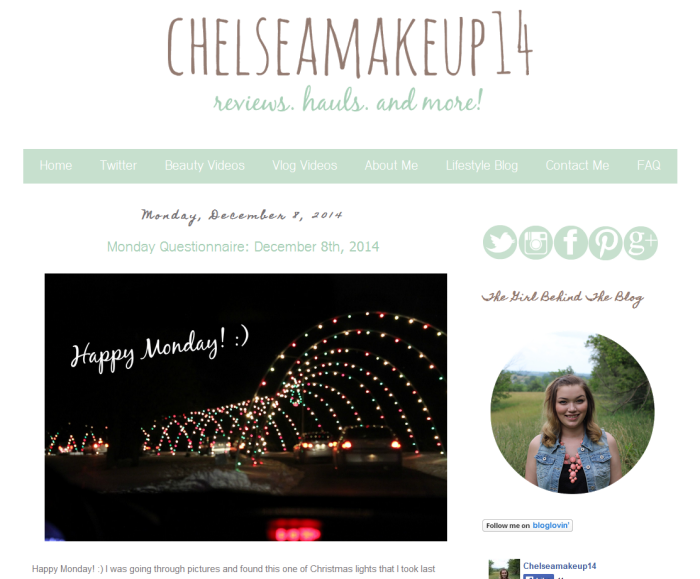 Hope you will check out her blog! Love your features. I may incorporate that into my blog next year (which is almost here! yikes! ).